3 bedroom house; newly remodeled. Accommodates 6 Adults. 2 Queen Sized Beds and 1 Full Sized bed. Comfortable Serta Mattresses. Amenities include: Air Conditioning, cable TV, WiFi, Roku TV, soap and shampoo. Full equipped kitchen including stove, microwave, toaster, oven, coffee maker, blender, refrigerator. Dining area and table settings. Toy closet stocked with books, toys and family games for the family to enjoy vacation time. Wooded backyard and back deck. One minute walk to hospital. Very close to downtown, and the “New Uptown”!!! So many fun and exciting things to do in Bay City, Michigan. A quick drive to all of the beaches. 5-7 minutes to Lake Huron’s Saginaw Bay at Bay City State Park. 40 minutes to Caseville beach. 55 minutes to the pristine Tawas Beach. 36 minutes to Sanford Lake. The river is 2 minutes away from this property where the river walk is located Also a nice walk to the “new uptown” which is laced with upscale restaurants and shopping. This house is centrally located and close to everything! 30 minutes from Birch Run Outlet Mall, and 20 minutes to the German town of Frankenmuth. You will enjoy the many tourist attractions that come with the area! $15.00 per additional guest per night. This property is lovely and cozy. Parties not allowed. Parties not allowed. Extra fee for undisclosed guests. We enjoyed the home and all the decorating. The tips and ideas for Bay City were also very good, and there are a lot of hidden gems! The house does sit on a pretty busy road next to a hospital, so that noise was the only reason for a not 5-star rating. We absolutely enjoyed our trip. Very clean and cozy house. Host was very polite and accomodating. Location was great. Host also mailed back some things i left at the house the same day we checked out. Very cool! Very cozy clean place to stay. I appreciate they chopped all the ice off the porch & steps as the storm left 2" of ice! We were very comfortable here. The house is very solid - even the stairway to the upstairs. It was solid and not squeaky at all so you were able to go downstairs in the night to use the bathroom without waking everyone up. We enjoyed our stay even though we were there for my Mother's funeral. We loved our stay in Bay City, it was the perfect location close to everything we wanted and needed, close to restaurants, cute shopping and grocery stores. The house was cute, clean, nicely decorated and well maintained. Cable televisions, board games and a nice deck were great to have. The renters are great communicators and very friendly. I would highly recommend. 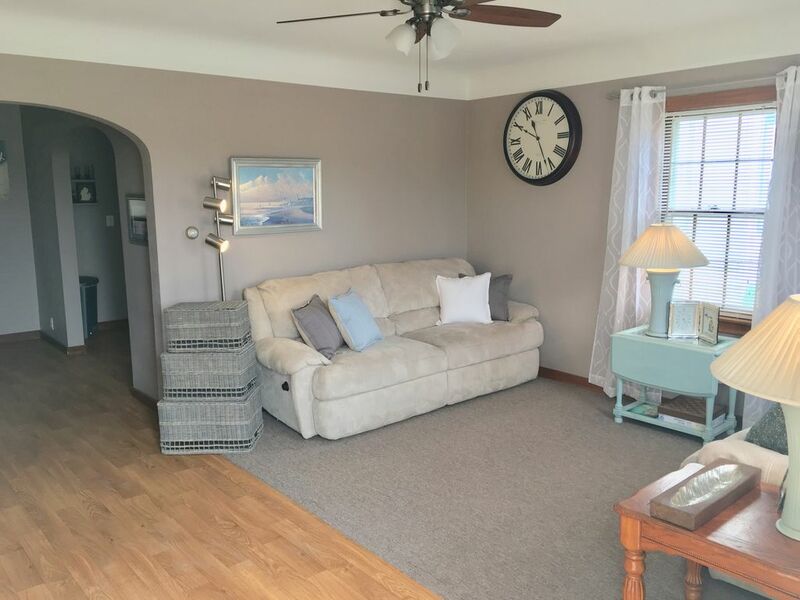 What a cute and charming house centrally located in Bay City! House was clean and well appointed. Alana is a friendly and accommodating host. Any questions/requests/issues were answered in a timely manner. If we ever need accommodations in Bay City again, we will definitely rent this house again!